Guest blogger Jay Stoll describes his recent research in the TUC Library into the role of the TUC in his great-grandfather’s escape from Nazi Germany. In the late 1930s my great-grandfather, Erich Littman, arrived in Britain from Nazi Austria. As a Trade Unionist, he had been imprisoned in Dachau Concentration Camp before managing to secure a visa for a new life in Britain. The remainder of his family were not so lucky – with many dying in Auschwitz, Theresienstadt, or in the ghettos in which they had been persecuted. Aware of the TUC’s anti-fascist campaigns in those years, I went to the Special Collections Library at London Met to see if I could find anything that would help my search for information on my great grandfather’s escape. 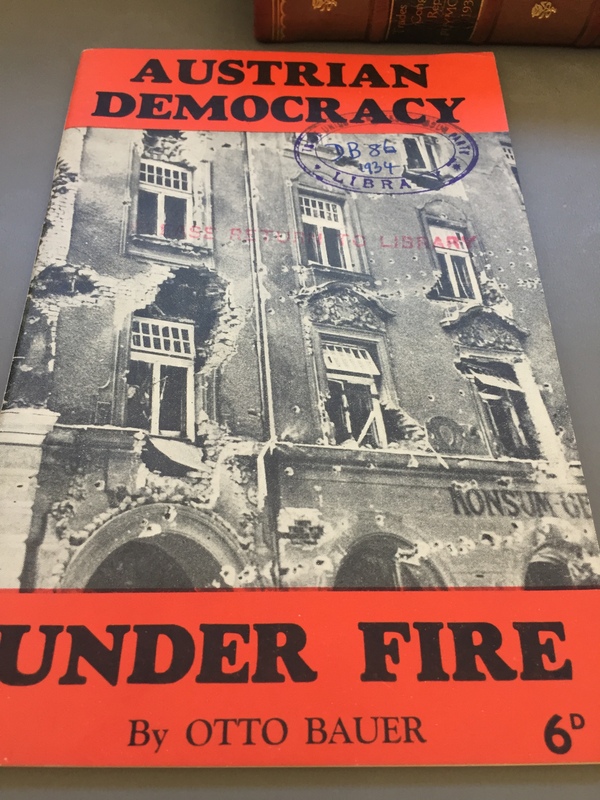 The Library proved helpful for understanding the breadth of support provided by the TUC for underground movements in Nazi Austria. 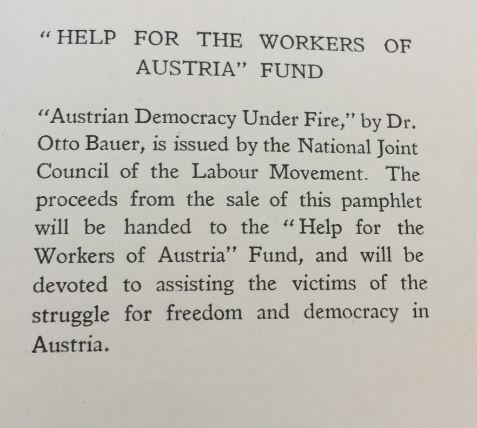 Often, this was done through the publication and sale of pamphlets (such as the one from Otto Bauer, pictured), and proceeds would be given to those directly engaged in the struggle for freedom. Similarly, my visit enabled me to process the scale of the TUC’s efforts to prevent fascism advancing in Britain and their work to support the established Jewish community in their boycott of Nazi Germany. Cooperation was extensive and was clearly valued by those writing in the Jewish press at the time. I’m still not entirely sure how the TUC managed to help my Grandpa Erich escape, but I want to thank the staff at the Library for giving me their time and access to some really helpful documents. It hopefully marks the beginning of a successful journey to understanding how my family survived and set up their life in Britain! This entry was posted in Uncategorized by Jeff Howarth. Bookmark the permalink.